Thanks to Cae and Yohana for a great evening of music this past Saturday and to everyone who was able to attend! 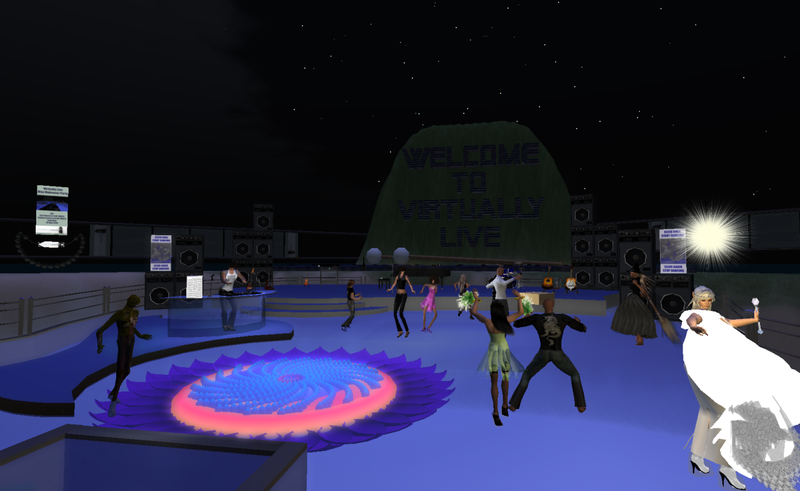 The Makeover Party was a perfect illustration of the motivation behind the Virtually Live Events project: to use music as a social prime mover in order to establish and cultivate the foundation for a thriving international live events presence on the Openlife Grid. 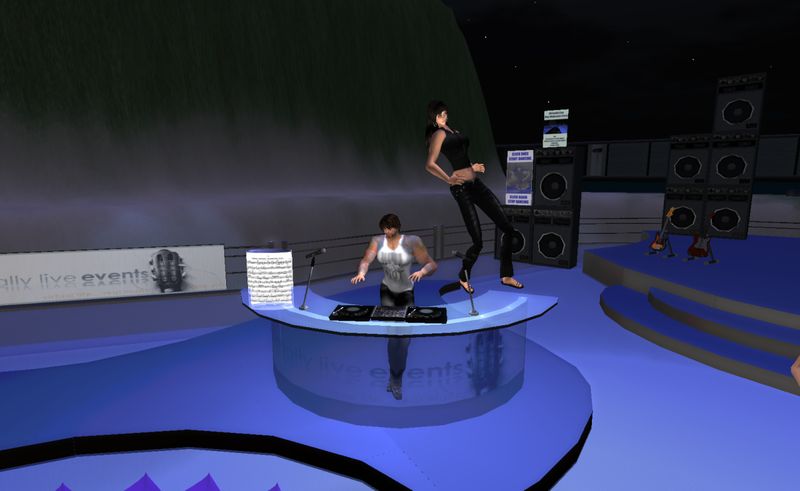 Our two DJs were from Argentina by way of Belgium (Cae Diesel) and Spain (Yohana Carter). Additionally, our guests were from Poland, France, Ireland by way of Finland, Norway, UK, Australia, Germany, Spain, Belgium, and US. That rich diversity is as remarkable as it is pleasurable and almost everyone who attends these events makes a new friend or two or three... or more! Without exception, every performer has been very supportive and complimentary towards this project. They absolutely love our grid largely because of the vitality of the community's spirit and creativity. 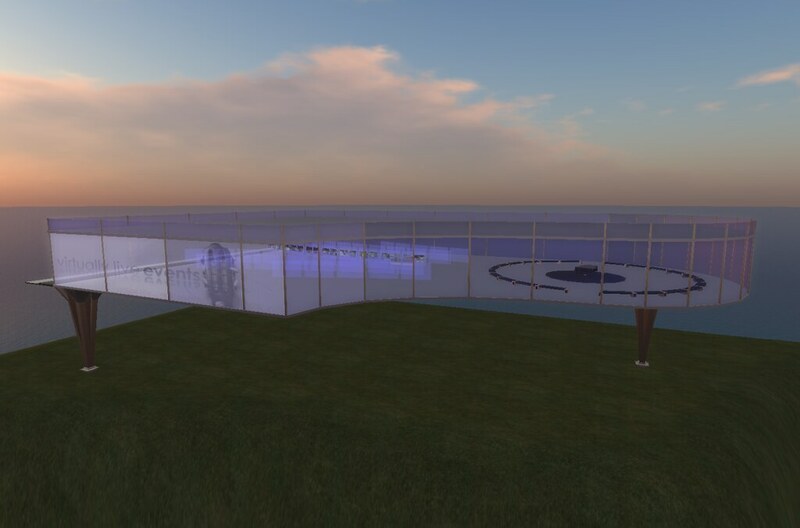 In the coming weeks, the dramatic venue makeover (Cae and Yohana are seriously impressed with the redesign) will continue and, in the coming months, Virtually Live Events will expand both the range and frequency of performances. Please click on the photos for full-sized images. And, yes, that's Yohana practically dancing on Cae's head during his set. During her set, she was spinning with her feet apparently! Enjoy! The May Makeover on Virtual Live continues apace in anticipation of the party next weekend. Here, I took a little time to play with a decorative lighting element for the middle of the dance floor - a fibonacci flower. Click on the image for a full-sized photo. Enjoy! 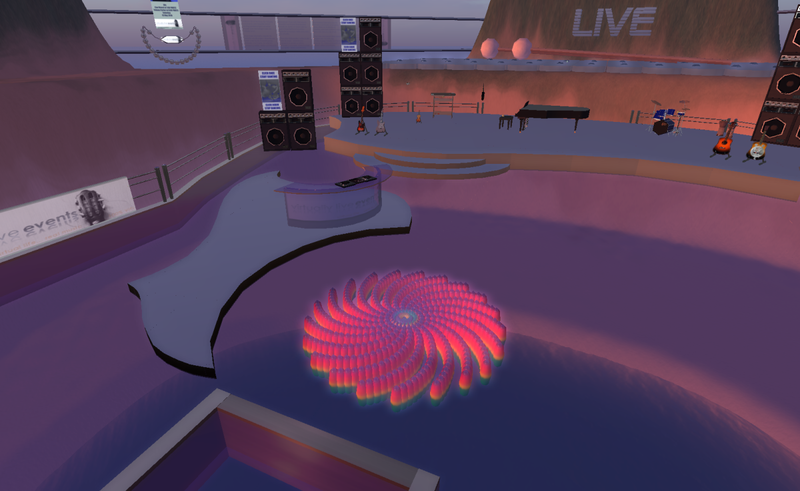 The May Makeover Party will be hosted by Virtually Live on Saturday, 15 May 2010, with DJ Cae Diesel at 7:00PMUTC and Yohana Carter at 8:00PMUTC.